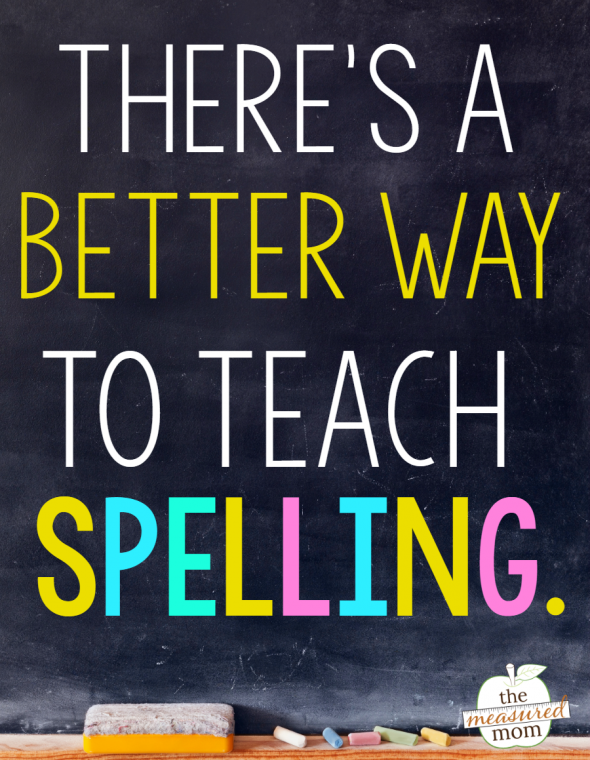 There are so many ways to teach spelling! How do you know which one is best? Here’s what we recommend. 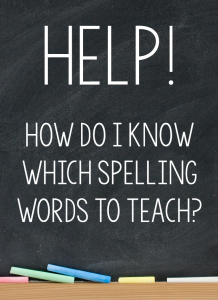 What was spelling instruction like for you? If you’re like most of us, you had a weekly list of words from a textbook. Sometimes the words were related – and sometimes not. You were taught to memorize each word by copying it until you knew it. And of course, you had the same list as everyone else in your class – whether or not one of you needed extra help or was ready for a more challenging list. 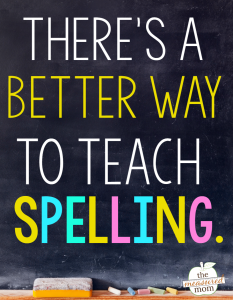 What’s wrong with the traditional approach to teaching spelling? Rote memorization is not an effective way to learn and remember. How many kids forget their spelling words as soon as they finish the test? With traditional spelling instruction, kids are passive learners. 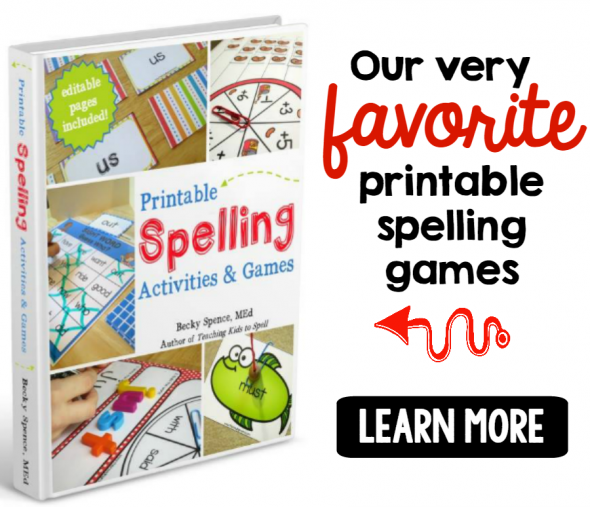 Spelling is boring – for both the students and the teacher! We need to give kids an active role. 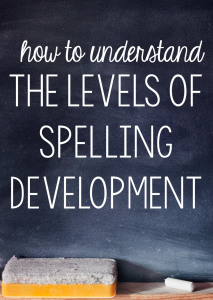 Children move through the stages of spelling development at a different pace. Just a handful of kids’ needs are met when the entire class has the same word list! It works for kids in preschool through high school. You don’t have to buy an expensive curriculum. It’s great for the classroom. And it’s perfect for homeschooling. 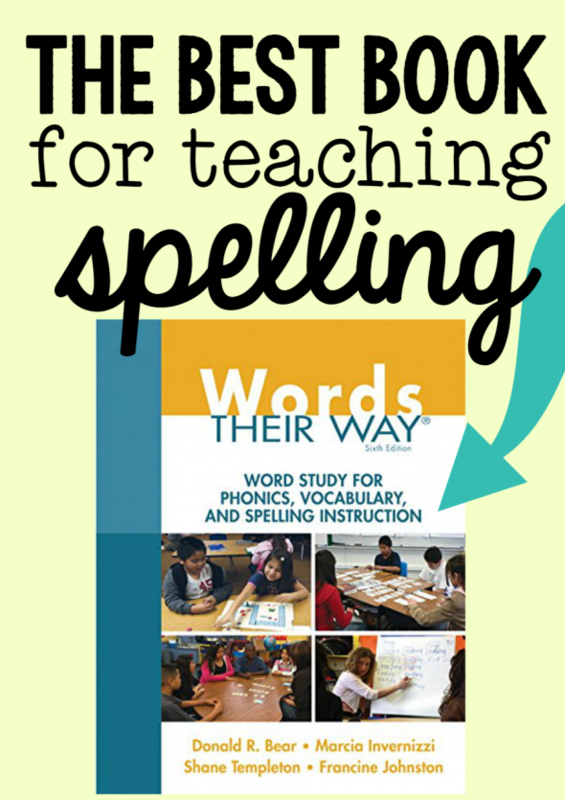 How is Word Study different from traditional spelling instruction? Don’t worry – I’m not stopping here! But it’s a dense subject, and we’ll take it step by step. My end goal is to provide a giant set of free printable lists and games that you can use to save yourself some time as you teach Word Study in your home or classroom. And if I’ve piqued your interest, this book is a must-have resource! For more detailed information about word study, see this post from This Reading Mama: Word Study: What Exactly Is It? Great post on Words Their Way. I agree it is an excellent resource. I was one of those kids that memorized spelling words for the test and then promptly forgot them. When I began teaching, I knew there had to be a better way to teach spelling. We also use Alphaphonics as part of our curriculum. Quick organized introductions to word patterns. 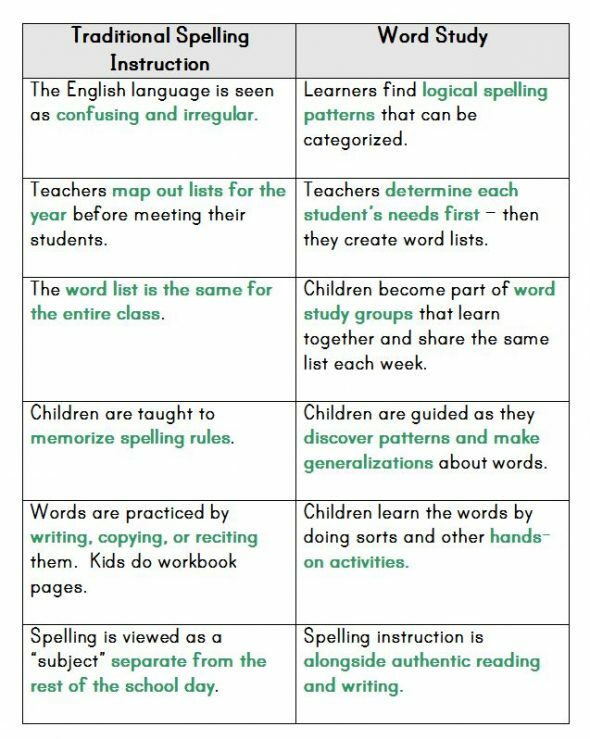 For those just getting started with teaching reading, writing and spelling Words Their Way goes more in depth than Alphaphonics. Thanks for the note about Alphaphonics, Jeannine. I’ve never heard of it. I’ll have to look into that. This looks like a wonderful resource. Spelling is so important, and it’s not easy to find the right curriculum for it. I’ll definitely be checking this out, thanks! I hope it’s useful for you, Kristi! Well, yes…you’ve piqued my interest! 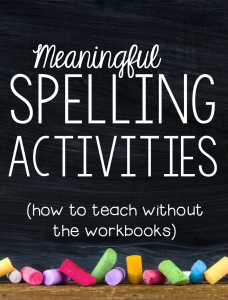 I tend to use more activities and word explorations that teach patterns in spelling…I should not be surprised there’s a whole philosophy behind it, lol! I’m so glad you shared this at Teach Me Tuesday at Preschool Powol Packets! Thanks for stopping by, Carla! I hope the rest of the series gives you some practical information. So I have a question(s), I have been looking at purchasing the “Word Their Way” book for homeschool use. I’m questioning what exactly to get. They have the “main” book but does that have all the word sorts or just the lists? I don’t mind typing up sorts in Word, if I have the lists to type. There are some used ones that are less expensive but no DVD and/or CD, do I need the DVD and/or CD? There are also the colored books, are those needed if I have the “main” book? What’s the difference between the colored books and the “main” book? Thank you, I really look forward to the rest of the series! My guess is that the colored books are more of a timesaver for a classroom teacher who has several word study groups and a lot more prep than you would have with just your own child(ren) at home. Also, there is a newer edition of the Words Their Way book. Since I got out of teaching I have already bought a newer edition (the one I linked to), so I will probably not buy another new one. I linked to the second to last one because that is the one that I will be referring to in my posts. My guess is that you will be quite content choosing that one if you choose not to buy the brand new one. Another benefit to choosing the second to last one (that I linked to) is that I have it in my hands and can answer any questions based on page number. I love Word Study and am very happy to be your resource via the comments section or my e-mail: themeasuredmom@gmail.com. I am also available by phone should you need a longer consultation :). I posted below, but personally, I found the colored books you refer to a huge timesaver in homeschool prep. To answer your other questions, the CD ROM has some printables of activities, but it isn’t thorough enough. The main WTW book is mostly the theory of word study. It has assessment tools and is the starting point. It has some activities, but it certainly doesn’t have everything (especially for higher levels). The colored level-specific books give actual, prepared word sorts (basically the prep work done for you). Hope that helps! Oh, and the main book has some word lists, but certainly not all. I’m sorry I’m late in replying here, Nicole – I really appreciate your comments about the colored books. I didn’t realize that the extra books have a lot more word sorts. I wish there was a preview of those books on Amazon. I really don’t want to buy them to check them out, since I don’t need them! Also good to know that they provide more for the higher levels. When I taught Word Study I only taught through the Syllables and Affixes stage. Just be aware that in the newest books the lists etc. are on the online subscription you get six months of, and the website never seems to work. You might be better off with the older edition. Visiting from Dollie’s link up — we’re just starting to read and spell, so this will be helpful! I also am anxious to check out your word family printables! Great! I hope you find things you can use, Lindsey! Word Study sounds like a really interesting approach to spelling. You have “piqued my interest.” I look forward to reading more about it. Thank you for the information and comparisons. interest peaked! I was just telling my husband yesterday that I don’t think I’m going to buy anymore spelling curriculum. It seems like my son learns more spelling from reading and discovering new words than lists. I printed out a “mystery word” book mark for him to write down any words he doesn’t know, and then we’ll “investigate”! There are so many variations to phonics rules that’s it seems like once I teach one thing, there’s four hundred exceptions anyway. Yes, the exceptions are crazy! 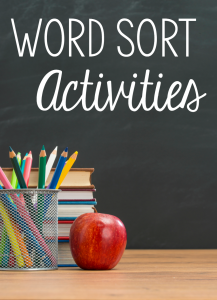 Word Study teaches patterns and then calls those exceptions “oddballs” — it’s a nice way for kids to really examine those words that don’t fit the pattern without being totally frustrated by all the rule breakers! I have used the “scientific spelling” curriculum before. Is “word study” similar? Hi LaNell! Can you tell me more about the scientific spelling curriculum? That’s new to me. Scientific doweling teaches by grouping the words into phonic patterns. For example, you might have words that use the different patterns for long a like a, a consonant e, and ay. You teach students about the exceptions that go along with that letter sound also. It breaks the word down by initial, middle and final sound. You also teach “rule” words, such as ” floss rule” ( words that have a short vowel before a final f, l, or s, double the f, l, or s- example stiff, well, glass). Hmm – what sounds the same is grouping words into patterns. However, Word Study doesn’t break words down by sounds, and one thing Word Study never does is teach rules. It teaches generalizations and exceptions. And it doesn’t get into nitty gritty phonics rules like the “floss rule.” That sounds a lot to me like Saxon phonics — have you heard of that? Some people truly love its regimentation but I taught with it and wow – I’m not sure I could despise anything more! But I’ll get off my soapbox before I get carried away! Thanks for letting me know about your link party, Paula! This is very interesting! I would love to get my hands on the book and see what they suggest. Spelling can get very tedious quickly if you dont do it right. Thanks for sharing this link of Jenny’s linky! Thanks for checking it out, Reshama! Great post! I used Words Their Way and other companion books while teaching in the classroom, and I’m looking forward to taking a word study approach at home with my girls. I’m looking forward to reading your additional posts on this topic. So glad to know you’re another word study fan, Shaunna! This will be a fun series for me. You have piqued my interest. My child is heading into 1st Grade. And, to be honest, I never thought about how crazy the English language is until he started learning to read. There are so many rules and exceptions! From a 1st Grader’s perspective, it does seem excessive. Looking forward to seeing your free sheets… will be using them for the summer. Thanks, Jennifer! I look forward to sharing more when I get back from my vacation. Love Words Their Way! I discovered it during my master’s degree program… I used it in my classroom when I taught full time, and now I use it at home with my own kids. It is so effective and simple. Personally, I think their premade word sort books for each level are worth the cost for busy homeschooling families! Thanks so much for the tip about the premade word books, Nicole! I’ll add something to that effect in my post. Oh, that looks really interesting. Thank you for sharing at Sharing Saturday! I have printed and read all of your posts on this. I went looking for the book and of course looking for the best price. It seems that there are two programs. One is by traditional grade levels and one by developmental stage, but both seem to be by Pearson. Help! I’m confused. I’m so sorry it took me so long to get back with you. A lot of my comments got buried when I was on vacation. Hmmm… I am not sure what you are looking at when you say that one is by traditional grade levels and one by developmental stage. If you are still looking for these, could you give me the links to each product so I can check them out? I’ll get back to you sooner, I promise! This is the book from your post. This is the other materials. It comes with a student notebook and is divided into grade levels, ie Kindergarten, first. Both books look great! The first is a one time buy for all my students it seems. But the second comes with notebooks for them and may have much of the work done for me. My children’s ages are 8, 5, 3, 1. You have directed me to a resource I didn’t know existed. It looks pretty amazing! Judging from the few pages I could see in the preview, I think that the second item you shared would be a good purchase for a busy homeschooling mom. One caveat I would offer is that you should still give your children the spelling inventory to see what level they are at — just because your child is in first grade, for example, does NOT necessarily mean you should start at the beginning of the first grade book. Depending on his or her ability, you might even need a different grade level entirely. I hope this helps – I am happy to answer any further questions you have! I am so impressed that you have taken so much time with this. Thank you! please suggest me what will be the difference between them and what i should buy.. I have some questions for you on WTW. We are currently using the program at school. I am struggling to find this program successful. From what I see, WTW is similar to a conventional spelling program, because either way they have to memorize things. My students struggle to identify and sort words on their own, especially at the Syllables and Affixes level. I would love for this program to make my kids successful, however it hasn’t happened yet. I have the book you posted, but I haven’t read the whole thing. I have moved to a new grade level, and they made worksheets to go with every lesson. I think that it’s important for kids to have some of the skills that they acquired in the old spelling, that they don’t get with WTW. I have also been to a conference on WTW. They said that each kid should be working at their own level, which I kind of do, but if it each kid… how do you keep track of where everyone is?? If you have any helpful tips for me, that would be great! is there anyway to print these interesting blogs? You can always cut and paste the post into a Word document to print. That’s what works for me! We can’t afford a new curriculum, but I would like to implement the word study approach to what we have–we have BJU, which does teach the word familes and would be easy to create the word study with. Any ideas for various days of the week? I think for your seventh grader you can check the appendix of the book and just have him or her do word sorts and games for the spelling patterns that are a problem. It’s actually not unusual for kids who read well to still struggle with spelling patterns. This is a wonderful resourse. I wouldn’t normally sign (up and overfill my inbox!) but this seems well worth it. I know about child centered learning, and yet I didn’t always get the advantage myself as a child. Therefore it’s hard to stay on track when teaching my kids. I can see that you have studied or are aware of current research into learning, and I am so grateful for your sharing. This is just what my family needs right now! I do hope I spelt my words correctly! Thank you so much for your kind comment, Sam! I do hope you find many useful resources on my site! Have a look at WordLab from New Zealand. Easy to use, up-to-date, multi-level, research-based. Thanks for that recommendation, Sandra!